Vivek Wadhwa: Technology Entrepreneur. University Professor. Innovation and Technology Speaker. 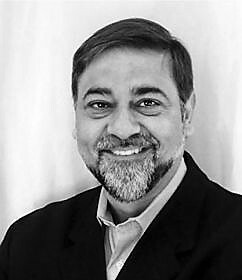 Vivek Wadhwa is a Distinguished Fellow at Carnegie Mellon University’s College of Engineering. He is a globally syndicated columnist for The Washington Post and author of The Driver in the Driverless Car: How Our Technology Choices Will Create the Future; The Immigrant Exodus: Why America Is Losing the Global Race to Capture Entrepreneurial Talent, which was named by The Economist as a Book of the Year of 2012; and of Innovating Women: The Changing Face of Technology, which documents the struggles and triumphs of women. Wadhwa has held appointments at Duke University, Stanford Law School, Harvard Law School, and Emory University and is a faculty member at Singularity University. Wadhwa is based in Silicon Valley and researches exponentially advancing technologies that are soon going to change our world. These advances–in fields such as robotics, artificial intelligence, computing, synthetic biology, 3D printing, medicine, and nanomaterials–are making it possible for small teams to do what was once possible only for governments and large corporations to do: solve the grand challenges in education, water, food, shelter, health, and security. They will also disrupt industries and create many new policy, law, and ethics issues.